For about a year, there have been dozens of news reports about Uighurs being "disappeared" into detention camps. Some told of how they were forcibly indoctrinated to sing patriotic songs about China, learn about Chinese law, brush up on their Mandarin, and denounce Islam, and Muslim culture. 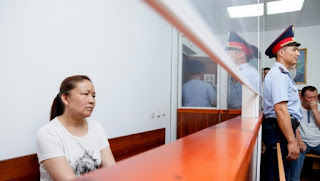 And then last month a Kazakh-Chinese woman testified in a court in Kazakhstan about illegally entering the country. Sayragul Sauytbay, 41, testified she escaped a "reeducation camp", one of many that are holding thousands of ethnic Kazakhs for "political indoctrination". Interestingly she was not a camp detainee. 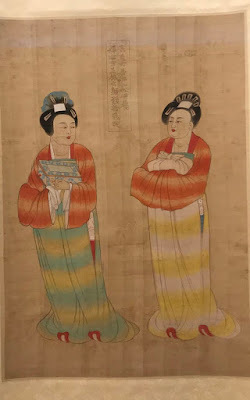 Before she fled to Kazakhstan, Sauytbay had been the head administrator of a kindergarten -- a position that, together with her membership in the Communist Party, technically made her a Chinese state official. She said Chinese authorities forced her to train "political ideology" instructors for reeducation camps in Xinjiang. As a result she had access to secret documents about China's plan to "reeducate" Uighurs, ethnic Kazakhs, Kyrgz and Hui who are Muslims. A few days ago the court ruled she would not be deported to China and Sauytubay is applying for asylum in Kazakhstan. 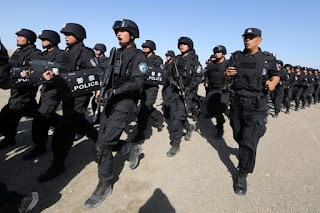 And now a UN human rights committee has heard there are credible reports that China is holding 1 million Uighurs in "counter-extremism centres". 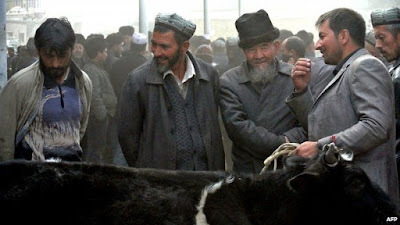 Gay McDougall, a member of the UN Committee on the Elimination of Racial Discrimination, said she was concerned by reports that Beijing had "turned the Uighur autonomous region into something that resembled a massive internment camp". Beijing has previously denied the existence of these camps. If there really are 1 million people being held in these camps, that's a number that's way beyond what others have reported. While the UN may bring up these claims and ask Beijing to respond, it will probably deny them as much as possible, or the very least claim they are necessary to contain these people from the rest of the population for security reasons and cite terrorism. 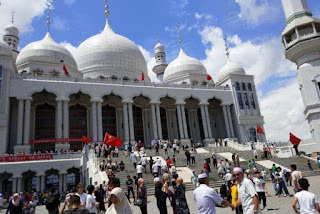 Another issue related to Muslims in China is in Ningxia Hui autonomous region, where hundreds of them are protesting to prevent a newly-built mosque from being demolished. Officials said the Weizhou Grand Mosque had not been given proper building permits, but so far the protestors have been able to prevent the authorities from trying to modify it to put Chinese-style pagodas. This tense standoff is still continuing, and one hopes it doesn't end in violence. The irony is that China likes to pride itself with having 55 ethnic minorities and yet it doesn't respect their freedom to worship their religion or practice their traditions.